This story teaches the value of being able to talk to your parents about your fears, and to ask questions if confronted with the unknown. In the fourth book of a five-book series, Noah continues reading to and teaching his sister Josie. It continues to follow the main character, Ed, through his first day of school. Ed has already met six of his classmates and is excited to meet more! We start off this audiobook going to lunch with Ed's class. While waiting in line for his food, Ed meets someone outside of his class and learns that he has diabetes. After lunch, Ed meets a new friend and learns that he has a learning disability called dyslexia. 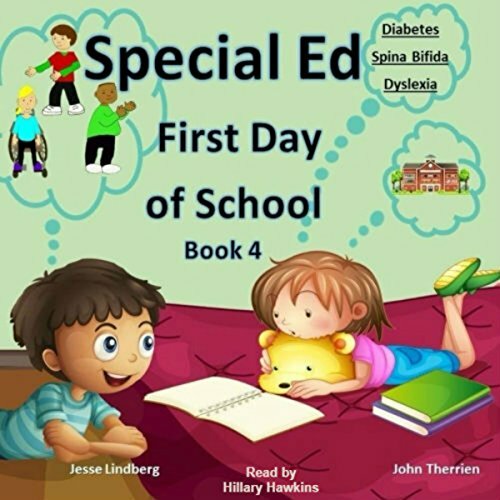 Ed goes on to meet another classmate that is in a wheel chair like him, and learns that she has spina bifida. Tag along to meet Ed’s new classmates on this adventure of learning!